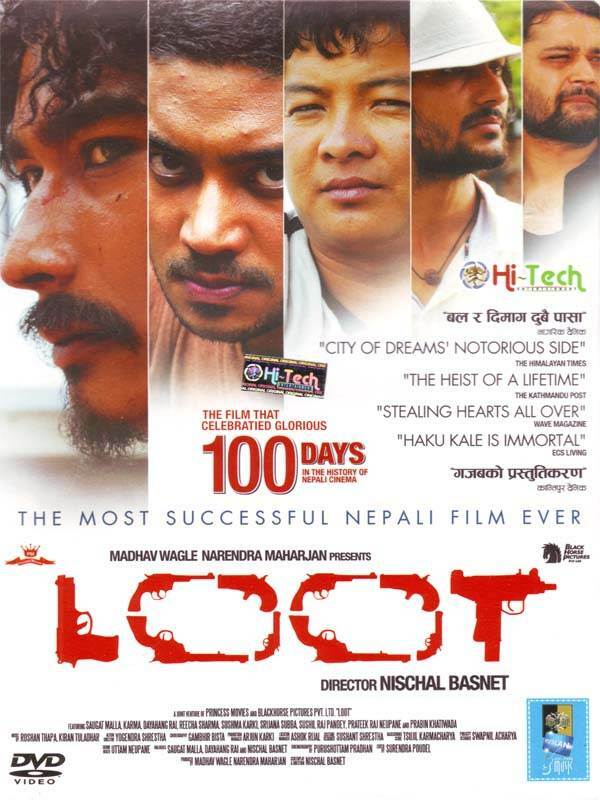 The most successful Nepali Film ever "LOOT"
Kathmandu, the city of dreams and hopes. Kathmandu is home to the dreamers, it's the city of achievers. Life blooms in Kathmandu, life gets destroyed in Kathmandu. Some win while the others lose. Some find luck easily, while some struggle the hard way. Loot is the story for five guys who find quick ways of success and accomplishment in life. It is a quest for quick money and better life. In a place where the crime rates are ascending day by day, Loot draws a reality check on the present security system of the city. Loot is about relationships: It's about friendship and betrayal. Loot is the real picture of kathmandu; the city of crime and lawlessness like never explored before.